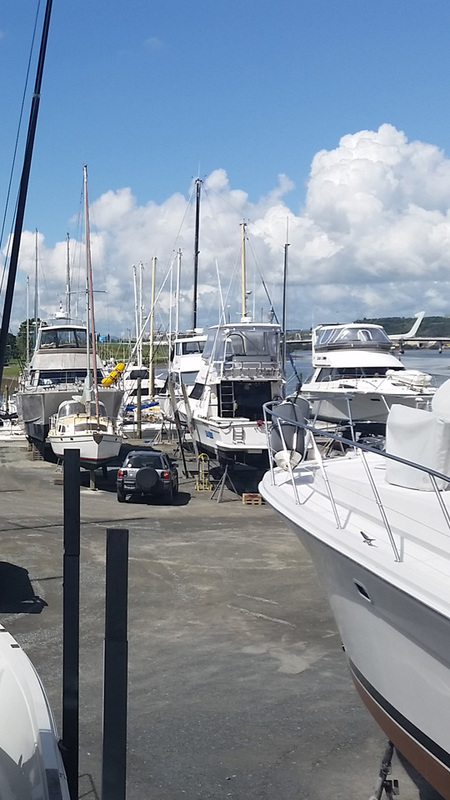 The benefits of choosing a working yard and marina will become evident when taking inventory of what boat projects need to be done. 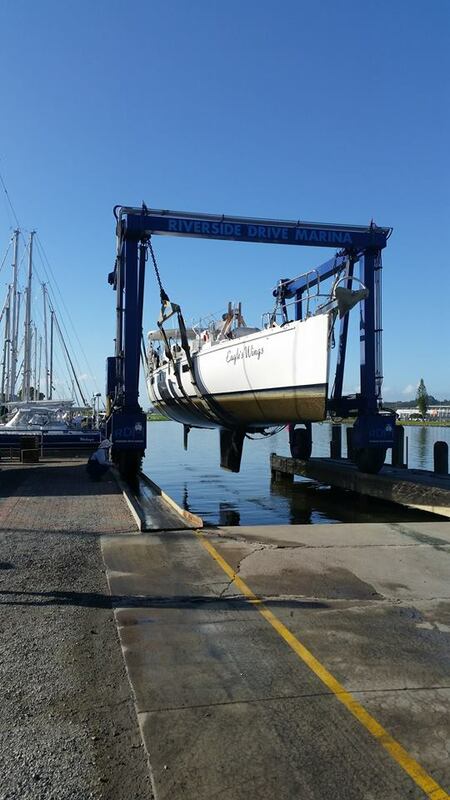 Once you have your work list, make arrangements to have needed repairs and maintenance done by any of the marine specialists on site or do the work yourself. The yard also has a 20mtr Boat Shed and a 16 metre tent available for hire, see below for details. 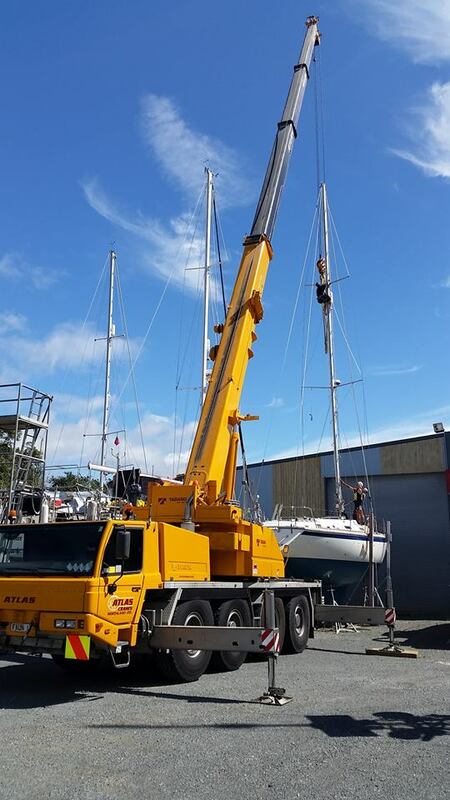 Boats are hauled and blocked using a 40 tonne travel lift. Water blasting and pressure washing are available. 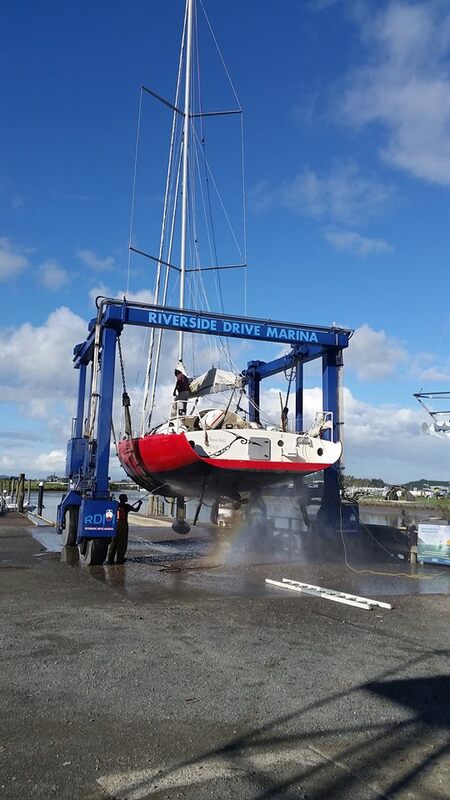 There are some environmental regulations regarding work on your boat, so check with the marina office first before dry sanding or spray painting. Cruisers that have stayed here appreciate the ladders, planks, and platforms that are available for use. Yachties know from experience how uncomfortable and inconvenient living aboard can be while in the yard. Karl and the staff at RDM work hard to keep the yard clean and well organized. There are 24 hardstand sites with water and power. Marina amenities can be used by those with boats in the yard. 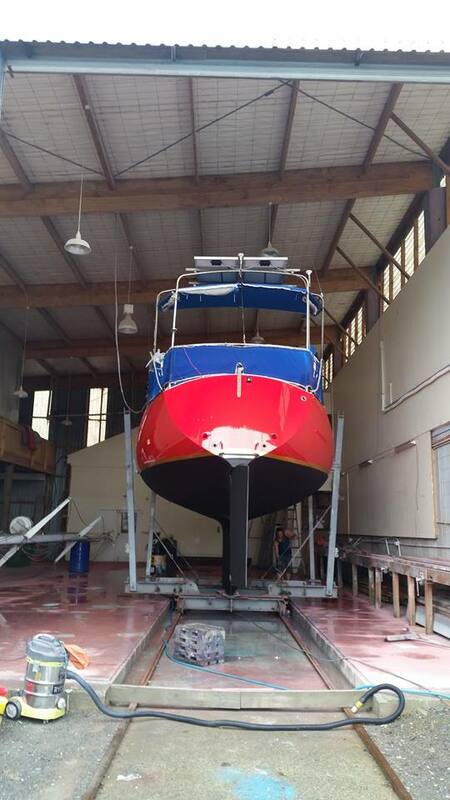 There is a 20 metre long by 10 meters wide and 8 meters high, fully enclosed boat shed available for hire. This is the perfect weather tight spot if you are wanting to undertake full restoration work including a new paint job, new decking etc. 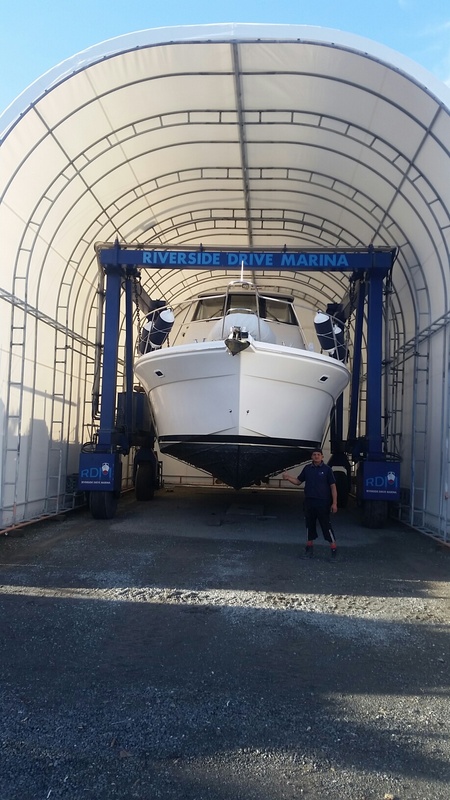 This shed has been used by many a boat builder since Riverside Drive Marina first opened its doors under the name of Orams Marine. The current rent of the shed is $70.00 per day excluding GST and power. We also have a tent on site which can be used for all sorts of restoration work as well. The dimensions are 16 meters long by 8 meteres wide and 8 meters high. The added bonus of the tent is we can install a removable door which will make it weather tight for painting etc. The rental for the tent is $30.00 per day plus relative hardstand rate (excluding GST). This tent is in high demand so please get in touch early if you would like a booking.